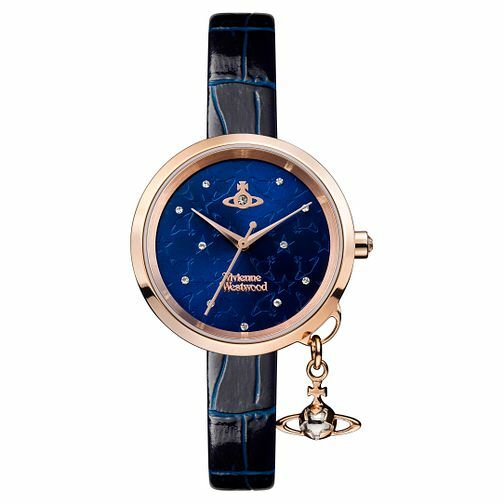 Vivienne Westwood makes an ethereal design that features a deep navy blue as its main colour, with a textured dial embellished by the iconic orb motif, and with precious crystals punctuating the piece with a starry glint. The rose gold toned case sits on top of a black leather stripe indented with the same navy blue accents as the dial. Finished with a small orb charm, this piece exudes individual charm and artistic flair.